A country that has contributed least to global climate change now has to cope with and adapt to the very real effects they are faced with. UNITED NATIONS, Jan 15 2019 (IPS) - The landlocked country of Mongolia sparks certain images in the mind—rolling hills with horses against a picturesque backdrop. However, the East Asian country is facing a threat that will change its landscape: climate change. “Climate change isn’t affecting everyone around the world evenly. Small island states is an example and another example is people who live in more norther climates like Mongolia,” United Nations Special Rapporteur on Human Rights and the Environment John Knox told IPS. 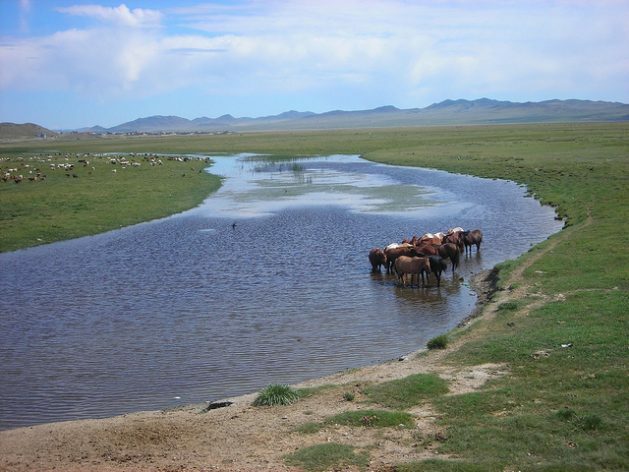 “The problem for Mongolia is, with respect to climate change, is that it contributes almost nothing to greenhouse gasses…so that means instead Mongolia has to be concerned with adaptation,” he added. According to the Mongolian Ministry of Environment, the mean air temperature increase by more than 2 degrees Celsius between 1940 and 2014, more than twice the global average. This has increased the frequency of natural disasters such as what is locally known as “dzud”—a summer drought followed by a severe winter, a phenomenon that has increased over recent years. January 2018 alone saw temperatures drop to -50 degrees Celsius. This has had vast impacts on the country’s herders. 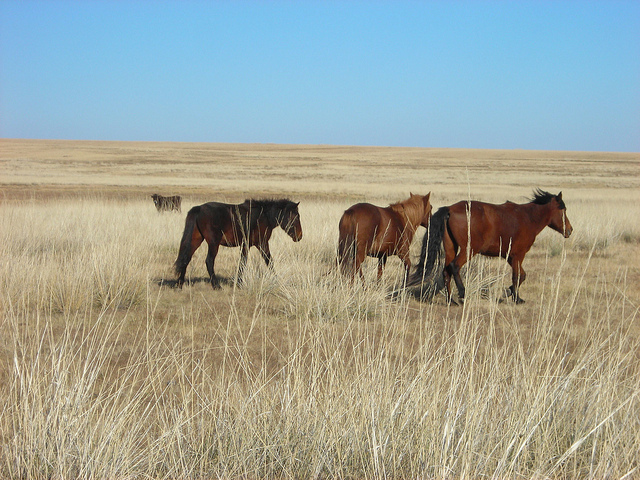 Almost 50 percent of the Mongolia’s 3 million population are employed in animal husbandry. They produce 35 percent of agricultural gross production and account for 30 percent of the country’s export. At the same time, 28 percent of the population live at or below the poverty line, making them dependent on this trade. “Any adverse impact of a changing climate on pasture availability would threaten forage yield, livestock productivity, and, ultimately, local and national food production capacity. Hence, environment and climate condition play a key role in the sustainable development of the country,” said Global Green Growth Institute (GGGI)’s Mongolia representative Romain Brillie. Approximately 70 percent of grassland in the country is impacted by desertification while the area of barren land expanded 3 times between 1992 and 2006. While overgrazing has contributed to the changes in the environment, climate change has exacerbated the impacts. Without sustainable livelihoods, many have poured into the country’s cities including Ulaanbaatar where they live in informal settlements without basic facilities such as running water or sanitation. And to cope with the long and harsh winters, families use coal-fired stoves, contributing to air pollution. In fact, Ulaanbaatar has one of the highest rates of air pollution in the world, increasing the risk of acute and chronic respiratory issues. According to U.N.’s Children Agency (UNICEF), the three diseases that have resulted in the most lost life-years in the East Asian countries are related to air pollution. But steps are being taken to mitigate the crisis, Brillie noted. “Mongolia has been very active in establishing a conducive policy environment for climate change mitigation and adaptation…for instance, Mongolia is one of the countries that has been the most successful in accessing the Green Climate Fund,” he told IPS. In 2017, the government adopted a new law which aims to increase the country’s share of renewable energy in total primary energy sources to 25 percent by 2025, and 30 percent by 2030. Mongolia has already started investing in wind power, establishing its first wind farm in 2013. GGGI has also been working with the government to support its green development targets in energy and green finance. In 2018, GGGI helped secure 10 million dollars from the Government of Mongolia and Mongolian commercial banks to invest into the Mongolia Green Finance Corporation, a vehicle to leverage investments by the financial sector. Knox highlighted the importance of such civil society in efforts towards climate change mitigation and adaptation. “I think it’s at the individual and community level that we really see sustainable development take hold,” he said. While there are now standards in place, Knox noted the need to implement and enforce them including in efforts to cut back on coal energy. Currently, only seven precent of Mongolia’s energy production is renewable energy, and they will have to ramp up action if they are to reach their 2030 target. And the Paris Agreement should be the light forward. “In many ways, the threat of climate change in Mongolia can only be addressed by collective action by the major emitters of the world…The parties to the Paris Agreement need to surmount up their commitments as quickly as possible and they need to take more effective actions to implement the commitments they have already undertaken,” Knox told IPS. Brillie spotlighted the role youth can and will play in the country’s sustainable, green future as GGGI works with Mongolia’s Ministry of Environment to promote green education. “Young people are already driving change across the world. We must provide the skills to create new and green lifestyle,” he said.